I really enjoyed this book, and was pleased at how much I learned about current research in this area. What is meant by “junk” DNA refers to the part of the human genome that doesn’t code directly for a protein. Proteins are the machines that do all the work in the cell. With only 1.5% of the human genome coding for protein, that leaves a lot of junk around, apparently serving no purpose, looking like old viruses, and has been a source of proof for Neo-Darwinists and ridicule for Intelligent Design. The book’s premise is simple and straight forward: it spends a chapter referring to statements made by prominent Neo-Darwinists using “junk” DNA to support evolution (going so far as to make theological comments on a God or Creator that would make such junk, even). 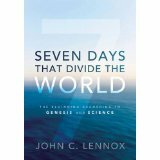 The book then advances in a tour de force of example after example from mainstream journals showing the functionality of “junk” DNA. It has been shown that the other non-coding “junk” DNA is both conserved between species and widely transcribed. According to evolutionary theory alone, these two facts alone show probable function. Pseudogenes, Introns, repetitious DNA, elements that appear derived from virus (ERV), those parts that were thought to be functionless is being found to have important roles within the cell. I think the information in the book is presented well and is at an understandable level, but I do have a degree in Biochemistry and Cell Biology, so some of it may come off as too technical. 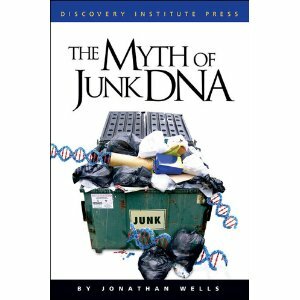 The Neo-Darwinist argument goes something like this: “if most of human DNA is junk, then Darwinism is true and ID false; most of human DNA is junk; therefore Darwinism is true and ID false.” In my opinion, this book thoroughly discredits the myth that “junk” DNA is “flotsam and jetsam”. Drawing an inference to Intelligent Design is advanced in the last chapter, and the answer is left up to the reader. My own opinion is that, as the human genome explored and more data is generated, the evolutionary argument will transition to a “Darwin of the gaps” position. This entry was posted in Science and tagged Discovery Institute, Jonathan Wells, junk DNA. I saw this post this morning and thought I would immediately repost. The people at the Discovery Institute and Evolution Views & News must be feeling a certain amount of elation at Nagel’s words. Not that it necessarily matters. The questions they raise about the Neo-Darwinian evolution are valid, thought-provoking, yet mocked. This entry was posted in Science and tagged david berlinski, evolution, Evolution News & Views, michael behe, Stephen C. Meyer, Thomas Nagel. This post started as a simple list of observations that show that the earth is older than the 6000 years that young creationists hold to. I left radiometric dating for the end because I have seen some writings saying this data is wildly inaccurate. I have linked a site with an extensive page on radiometric dating, with a quote addressing the supposed inaccuracy. Read for your self. I also found a study by the Institute of Creation Research that, just like this post concerning Answers in Genesis, disturbed me. This evidence is either common sense, or you have to conjure the idea that God created the world to look old. Varves: Lakes can form these deposits. They are composed of thin layers of clay and silt from a single summer and winter. They are of contrasting color and texture, and represent one year of deposits. Lakes actively forming varves can be found with 100,000 layers, and some ancient lakes have millions of layers preserved. Ice Cores: Ice cores from Greenland and Antarctica preserve the longest record of snow deposits. Greenland shows about 50,000 layers, while Antarctica shows about 740,000 layers. Speleothems: cave growths (stalagmites & stalactites) form similar layers as that of tree rings. Some cave formations have over 200,000 layers. Carbon-14 Dating: This method of dating organic material has been combined with tree ring and varves, confirming each dating method. Supernova 1987a: Prior to 1987, this was a star approximately 168,000 light years away. On Feb 23, 1987, the star exploded and became a supernova. That is, 168,000 years ago it exploded and it took that long for the light to reach the Earth. Radiometric Dating: Isotopes are radioactive elements that decay into a non-radioactive form of the element. This can happen quickly or slowly, depending on the element. Here is a good explanation of the science. It is long and technical and I found it convincing. Scientists have dated rocks at ~3.6 billion years using multiple methods. Some young-Earth proponents recently reported that rocks were dated by the potassium-argon method to be a several million years old when they are really only a few years old. But the potassium-argon method, with its long half-life, was never intended to date rocks only 25 years old. These people have only succeeded in correctly showing that one can fool a single radiometric dating method when one uses it improperly. The false radiometric ages of several million years are due to parentless argon, as described here, and first reported in the literature some fifty years ago. Note that it would be extremely unlikely for another dating method to agree on these bogus ages. Getting agreement between more than one dating method is a recommended practice. Extinct Radionuclides: Scientists have determined what isotopes would have formed in stars and supernovas. They have looked for these isotopes in nature and found the shorter lived isotopes missing, indicating the Earth is old enough for them to have decayed away. In doing some research on radionuclides, I found an article by Randy Isaac for the American Scientific Affiliation assessing studies made by the Institute of Creation Research (ICR). I found it very interesting because, rather than disputing the data on extinct radionuclides, the researchers affirmed it. The purpose of their project was to explain the evidence from a young earth perspective. 5. Therefore, the RATE project provides encouragement regarding the reliability of the Bible. This study is billed as “groundbreaking results,” and it is considering that the ICR researchers concede that there is evidence for “more than 500 million years’ worth (at today’s rate) of nuclear and radioisotope decay.” Isaac notes that it is a “departure from previous creationist claims that radioactive decay is much less than reported.” In other words, the ICR researchers acknowledge to the amount of decay attested by mainstream science and validates the radiometric observations. The ICR researchers reason that during the Flood, the rate of decay accelerated to accommodate a 6000 year old earth. The problem with this acceleration, the study admits, is the amount of heat generated—enough to evaporate the earth. It requires “a most unusual heat removal mechanism that is outside the known laws of thermodynamics.” I would qualify that as an understatement. A second problem is the radiation generated by this increase—one million times greater than today. How anyone (i.e. Noah et al.) survived this proposed year-long radioactive exposure is not known. The young-earth advocate is therefore left with two positions. Either God created the earth with the appearance of age (thought by many to be inconsistent with the character of God) or else there are radical scientific laws yet to be discovered that would revolutionize science in the future. The authors acknowledge that no current scientific understanding is consistent with a young earth. Yet they are so confident that these problems will be resolved that they encourage a message that the reliability of the Bible has been confirmed. I find it disturbing that these researchers, clinging so tightly to literal 24-hour days in Genesis, they propose radical and fundamental changes to physical laws that only last for about a year. With the other evidence for an older earth noted above, it seems absurd to cling to this fantastic theory rather than consider an erroneous interpretation of Genesis 1. This happened to Calvin and Luther, who clung to a geocentric solar system as supported by scripture. We now know they were wrong, so one is above error. This entry was posted in Religion, Science and tagged ASA, extinct radionuclides, Institute of Creation Research, old earth, old trees, radiometric dating, Randy Isaac, RATE Project, young earth. An interesting video on Leonardo da Vinci’s anatomical drawings. It is amazing how he wrote in mirror image with his left hand right-to-left because it was easier for him. This entry was posted in Science and tagged leonardo da vinci. 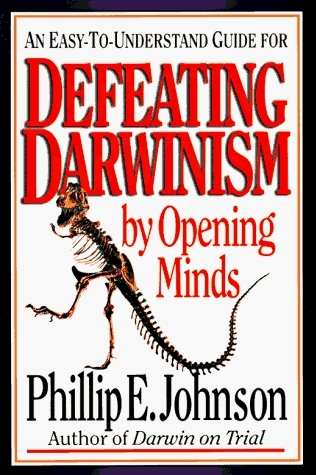 This is a good book for students, parents and other adults alike who are looking for perspective on the claims of Darwinism. It is less technical than other books I have read, but is more for development of critical thinking. It does a great job in illustrating the bias of the media through the example of the Scopes trial, through a comparison of the facts and the distorted lens of the play/movie “Inherit the Wind.” I didn’t know much about this subject, and anti-religious bias is so clear. One notable quote in the book is from James Shapiro, professor of Biochemistry and Molecular Biology at the University of Chicago. He said in response to Michael Behe’s book “Darwin’s Black Box”: “There are no detailed Darwinian accounts for the evolution of any fundamental biochemical or cellular system, only a variety of wishful speculations. It is remarkable that Darwinism is accepted as a satisfactory explanation for such a vast subject—evolution—with so little rigorous examination of how well its basic theses work in illuminating specific instances of biological adaptation or diversity.” Is Shapiro an ID advocate? Not in the least! Yet he can look at Darwinism and evaluate it openly for what it is and what it lacks. He thinks critically, and that is what this book seeks to promote. Overall, a fine book. It will help you see the difference between the scientific evidence and the materialistic philosophy that dominates the culture. This entry was posted in Education, Science and tagged evolution, Phillip E. Johnson.